Many men who would like to seek treatment for balding or thinning hair are aware of different treatment options, but do not know which method would be best-suited to their unique condition. At True and Dorin, we can help clear up any confusion you have surrounding hair restoration techniques, like follicular unit transplantation (FUT). In addition to offering a range of treatments, we provide our patients with all the information they need to make an informed decision. When you come in for a consultation with one of our doctors, we will explain the advantages and disadvantages of FUT at our New York office so that you will feel comfortable deciding on a hair restoration treatment. If you have been considering different techniques to restore a thick, full hairline but have questions about which method is right for you, please contact our office to make an appointment with one of our renowned hair restoration surgeons. During FUT treatment, a strip of the scalp is excised from the donor area, which is typically located on the back of the head. The follicular units are then removed from this strip and prepared to be transplanted to the treatment area. The donor site is stitched back together by our doctors, taking great care to minimize any appearance of a scar. The follicular units will then be placed in the treatment area, creating a more youthful-looking hairline. 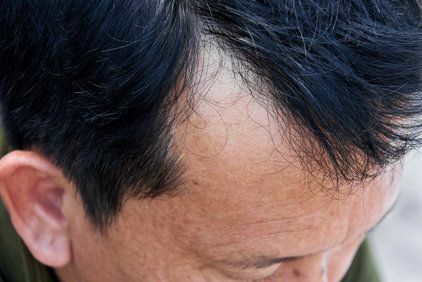 Compared to follicular unit extraction (FUE), the main disadvantages of the FUT procedure are risk of scarring and a longer recovery period per treatment session. The FUT technique often leaves a linear scar at the site where the donor strip is excised. Additional FUT treatments can result in stretching of the scalp which can exacerbate the appearance of the linear scar. This strip removal method of hair restoration involves a longer recovery period because it is more invasive. The stitches used to close the excision will need to be in place for one to two weeks, and it is recommended that patients avoid strenuous activity for a few weeks following their removal. The most important decision you will make regarding your hair restoration treatment is not which method you will use or the details of your hairline design, but the surgeon that you choose to perform the procedure. It is important to choose a doctor who has extensive experience in hair restoration and consistently achieves superior results. The doctors at True and Dorin have a proven track record of safety and excellent patient care, with thousands of satisfied clients that would not trust their hairlines to anyone else. They have successfully implemented new techniques that minimize the appearance of any linear scars and reduce recovery times. Our doctors are experts in the field and can help you determine which method of treatment would be most appropriate for you restoration goals. If you have questions about the different treatment methods that we offer and which type of hair restoration is right for you, please contact our office to schedule a consultation with one of our doctors.